The Visit Hendricks County staff searched Hendricks County for One-of-a-Kind Finds you can only get here. In many cases, that means these gifts are handmade by local artists or are simply items you will only find in Hendricks County. This installment focuses on teens. But even if the particular item or experience we feature may not be exactly what you&apos;re looking for, we suggest visiting each of these small businesses as we found many other worthy gift ideas that might be perfect for your loved one. If you are looking for a bicycle that fits both the needs and body of your teen, you should visit Gear Up Cyclery, 124 W. Main St., Plainfield. Yes, the prices might be a little higher, but these aren&apos;t the types of bicycles you will find in your big box retail stores. The quality of the bikes and the service and expertise you will receive is unmatched. We were simply amazed by the knowledge of the team there. They sell top-end bicycle brands such as Specialized, Electra and Terra Trikes. They have rock hopper bicycles for rigorous use, street models built for speed, cruisers for comfort and so much more. Customers are measured and sized, and the bikes are adjusted on site for that perfect fit. They also encourage test riding their bicycles out on the trail behind the store. Their selections range in price from $450 to $1,500, but we felt the quality and custom fitting makes the investment worth it. Any teen would love what we found in Pittsboro in a nondescript former home along U.S. 136. The Fossil Rock Or Gemstone Store also known as FROGS, 108 W. Main St., Pittsboro, had some fun gift ideas including a rope necklace with some beautiful polished, semi-precious stones. 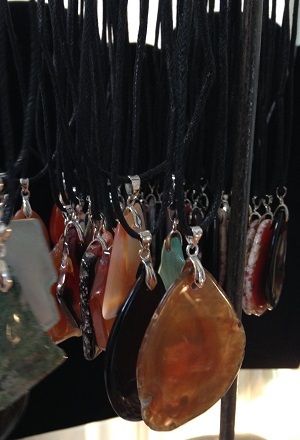 The stones come in every shape, size and color imaginable and would make the perfect gift for any teenager. They also have necklaces featuring carvings of animals and even sterling silver necklaces with faceted gemstones that are a little more expensive and are made on site. The necklaces range in price from $5-$100, and we could envision either or boy or girl wearing them. One of the most unique finds we discovered at Finer Things, 1032 E. Main St., Brownsburg, were these hand-knitted gloves that come in a variety of themes and colors and have one big hole at the top for your four fingers and a small hole on the side for your thumb. With seemingly every teenager having a smartphone or iPod device these days, these fingerless gloves seemed to be an ingenious design to keep those fingers free for texting while still keeping hands warm during the winter months. The gloves even extend longer than a traditional glove going past the wrist. Wristies cost $18-$30 depending on the style. If you have a creative teenager or are looking for something a little different this year, we would recommend considering an art experience at Melissa Cain Art Studio, 68 S. Jefferson St., Danville. Our entire staff recently visited the studio to paint wine bottles with holiday motifs, and Melissa was so good at showing us the basics and making the most of our experience. The studio has become a popular spot for birthday parties, and I think any teen would love having a creative art experience with some of their close friends. The best part is no talent is necessary. Believe me, I can attest to that as I have trouble even drawing a stick figure, but Melissa helped me create my own work of art. The cost of the classes vary depending on the number of people and the medium chosen. Bracelets seem to be all the rage for teenagers these days, and we discovered some unique, handmade options at a great price at Frazee Gardens, 3480 N. Ind. 267, Brownsburg. 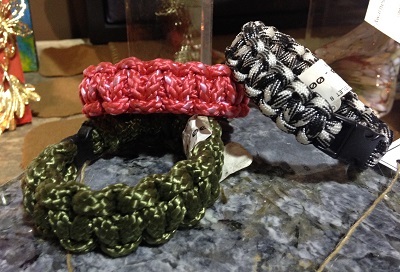 Local artisan Chris Dufek has woven bracelets that come in a variety of designs and colors and only cost $8 each. If you need a gift for a creative teen, you can design a custom art kit with high quality art supplies that fits specific mediums or just let the fine folks at Artistic Designs Gallery, 124 E. Northfield Drive, Brownsburg, do the work for you. Choose from Charcoal, Graphite, Colored Pencil, Watercolor Pencil, Watercolor, Pen and Ink, Marker, Scratchboard and Acrylic paint. Include tools, papers, sketchbooks, brushes, accessories and canvases. Another affordable gift we found at FROGS, 108 W. Main St., Pittsboro, included these excavation kits that allow children to dig and discover precious stones and rocks. 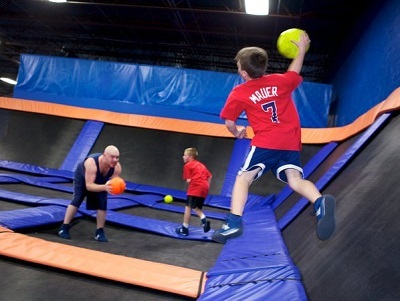 Sky Zone Indoor Trampoline Park, 851 S. Columbia Rd., Plainfield, offers various prices based off the amount of time you pay to jump. Prices start at $9 for 30 minutes to $20 for 120 minutes. They even have a special holiday promotion going that includes a free 30-minute jump pass and skysocks (an additional $11 value) when you purchase a $30 gift card.